As told Meshkov , paratroopers battalion during the stay in the Arctic provided hot food , which has been deployed outdoor kitchen , and teams operating in isolation from the main force , issued kitchen sets . 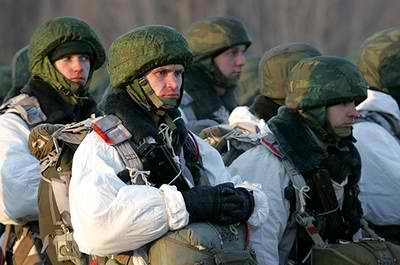 "With this three times a day paratroopers receive two hot meals and tea " - said Meshkov . In the Far North of the personnel shall be issued and additional food , in particular, fruit compote , chocolate and sweets , as well as sandwiches with sausage or bacon . 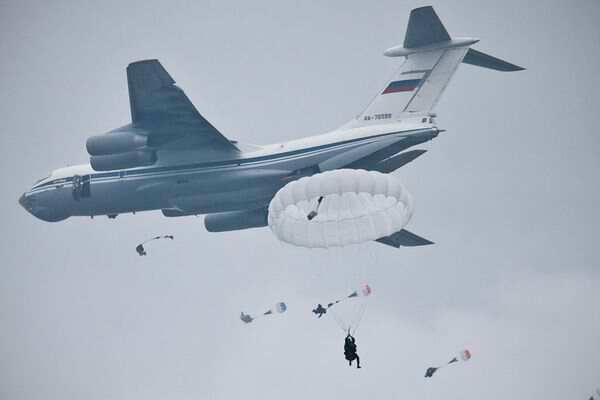 Landing in the Arctic on Friday night was held in extremely harsh weather conditions - in this weather skydive only the Russian military , said Airborne Troops Commander Colonel General Vladimir Shamanov governing Ivanovo teachings of the 98th Airborne Division . 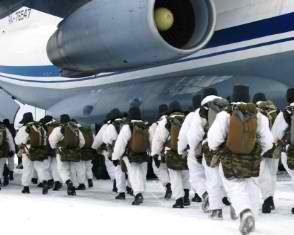 As previously reported, on Friday night at the landing area "Temp" on the New Siberian Islands landed airborne battalion . As explained Shamans were also airlifted four units of military equipment and several tons of cargo . 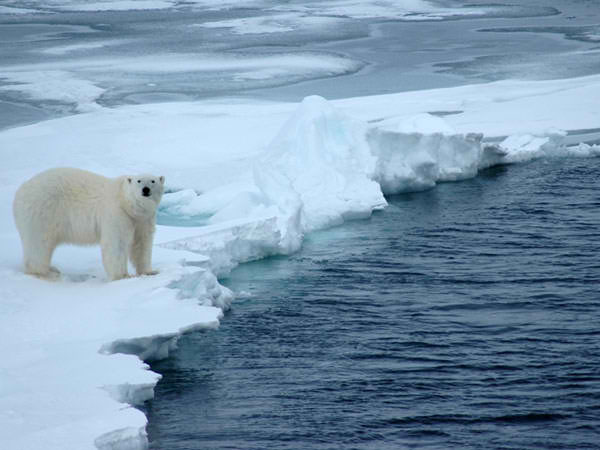 The objective , according to General , was " fully implemented " and now paratroopers and a half days will perform other tasks - military, humanitarian , search and rescue - and help polar explorers . As the commander of the Airborne Troops in the Arctic exercises of this scale for the first time in Russia and in the world as a whole. "The decision to airdrop because of extremely severe weather conditions were accepted by us at the last minute ," - said the Shaman . He explained that the wind speed in landing from aircraft is 10 meters per second at sea level and 12 - at height, whereas during the exercise , it reached 12-14 and over 15 meters per second , respectively.
" You can be proud of our Marines , who in any conditions to solve tasks . Under such weather conditions are bad nobody in the world except us not jump with a parachute . Here we are, thankfully , keep the leading position in the world ," - said the Shaman . 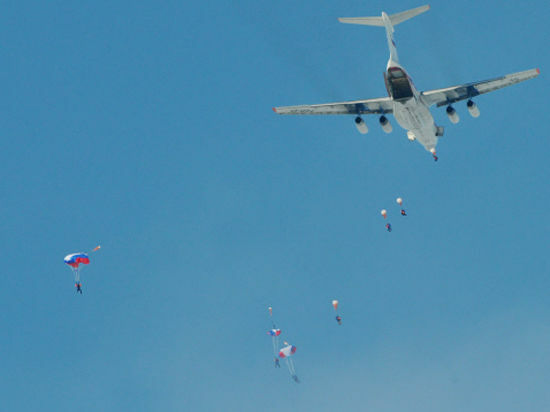 He also said that on the eve of the Rostov region was made more than 1500 landing military and six pieces of equipment, and on Friday it will paratroopers land already near Yaroslavl . " 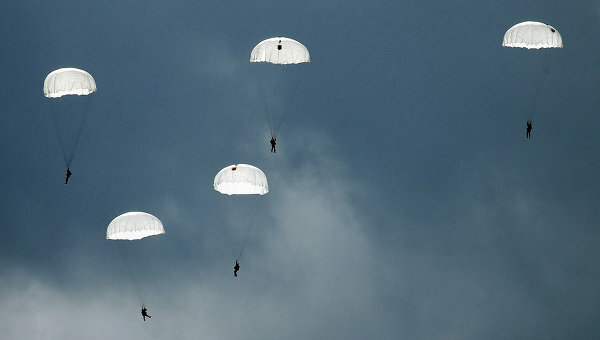 We both are working on the issues of combat readiness and endurance paratroopers ," - said the general, adding that VDV also conduct exercises near Belgorod, Kursk and Tambov.